“Light Wind, Rain” – 11″ x 15″ Shelter from the rain! 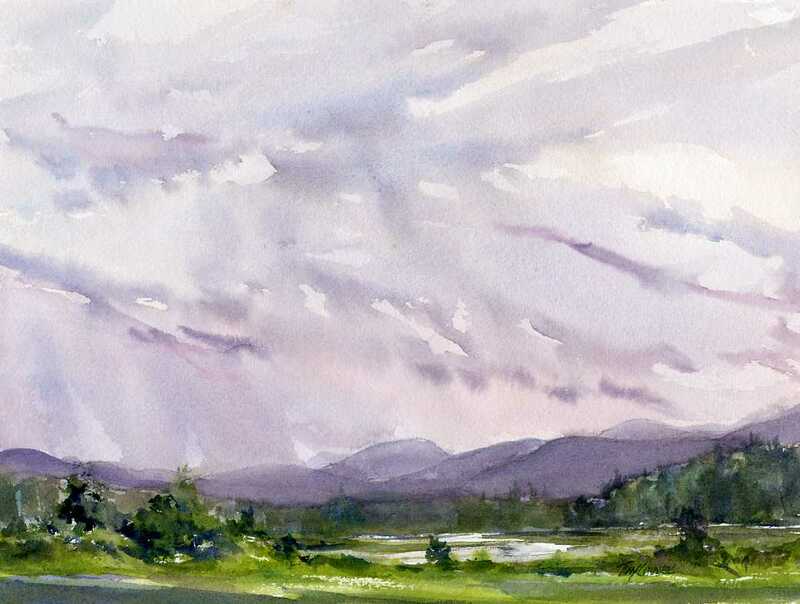 The last day of painting for Adirondacks Plein Air Festival came with heavy rain. Fortunately, a local Rod & Gun Club offered artists access to their club and its porch. This scene looks generally northeast and features mountains and landscape over powered by an active, moving sky. A scene like this is perfect for watercolor. The fluid, random action of the paint in water helps to create the sense of power and movement in such an active sky.